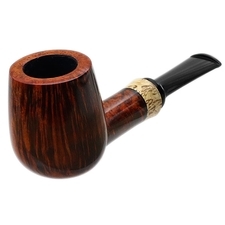 The straight Billiard is a bread-and-butter shape, one every artisan should know how to do well, and one that can be tweaked and altered in proportions or lines in a surprising number of ways, given its simple nature, and still produce aesthetically pleasing variations - in the right hands. 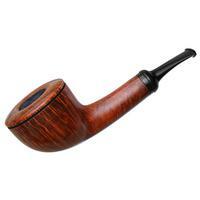 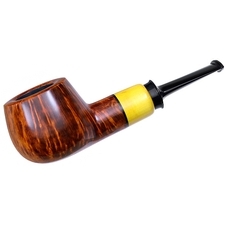 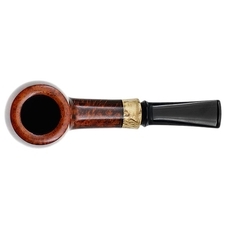 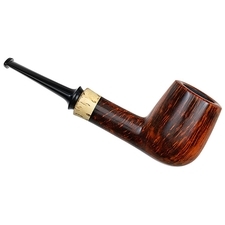 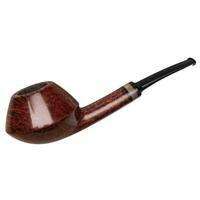 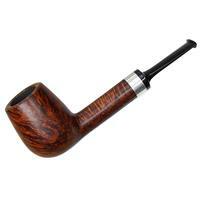 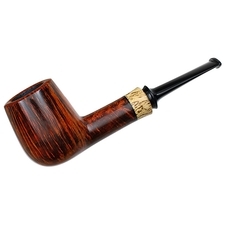 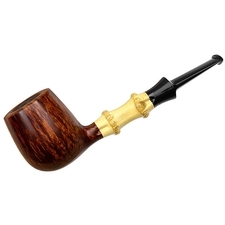 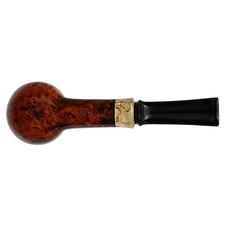 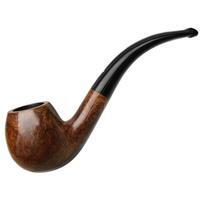 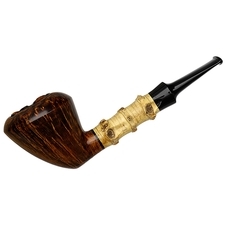 Somewhere in this straight Billiard's stylistic lineage the Danish school comes in, judging by its low waistline and long taper towards the rim, but I couldn't say whether Nikolay was directly influenced by the Danes, or influenced by proxy (such as through Billiard shapes by American artisans who are themselves influenced by Danish pipemaking). 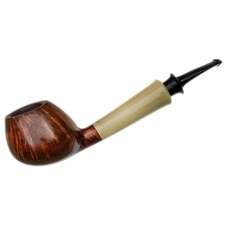 What I can say is that Nikolay clearly understands what it takes to make a lovely straight Billiard: the degree of cant is just subtle enough, the relationship between the proportions of bowl and shank are just right, and even though it's hard to spot at first glance, I'm really impressed by that very, very slight flare he gave to the Karelian birch accent. 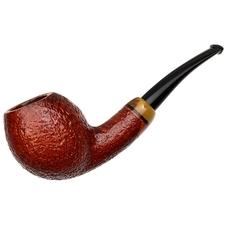 It's a tiny detail of line, but it's also just the kind of tiny detail that makes an already fine shape part of an even finer whole design.